Looking for a quick start? Here's step-by-step how to list in a private batch. Start on the List > List & Prep page. 1. Click + New Batch. 2. Choose your batch options. Full explanation of each option can be found here. 4. Your batch will display on the left-hand side of the page, underneath Open Batches. Now is the time to create a Custom MSKU if needed. 5. With your cursor in the search bar, scan a UPC or type in an item's ASIN, ISBN, title, UPC, keyword, or FNSKU of a previous MSKU to search for an item. 6. Choose Select once you locate your item. If the item is already in your Inventory, you will have the option to replenish an existing MSKU. 7. 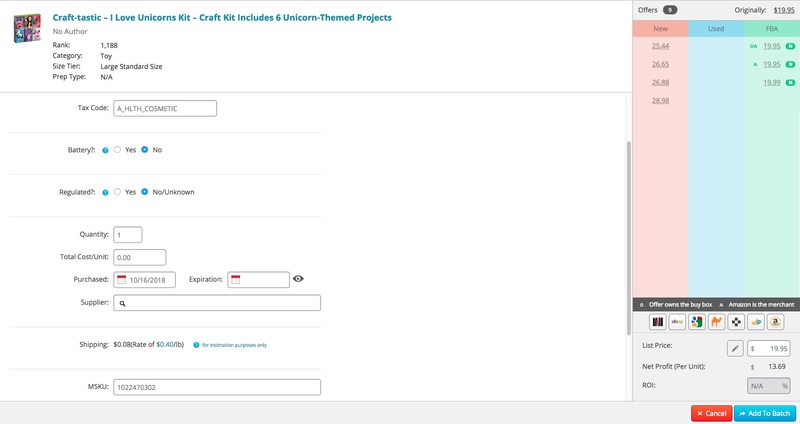 Fill in your item details and Add to Batch. For details on what to add, see here. 8. Print Labels if needed. 9. After adding all items, click Review Batch. 10. Take a moment to review your batch details. Click Submit. 11. Leaving Create FBA Shipment checked, click OK.
12. Review Proposed Shipments. Choose to Create, Decline, or Add to Working Shipment. If Box Content is OFF - Choose Complete and Close Batch. If Box Content is ON - Choose Enter Box Contents. If you need to edit quantities, you can do so now. 14. You start with box one. Add a new box by clicking + New. Enter amount of additional boxes needed. 15. Click the drop down Assign arrow next to an item. 16. 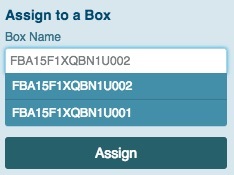 Enter the quantity to assign to box one. Click Assign. 17. Repeat assigning steps, and click a box name for additional box options. Select a box and click Assign. For steps on scanning to boxes, click here. 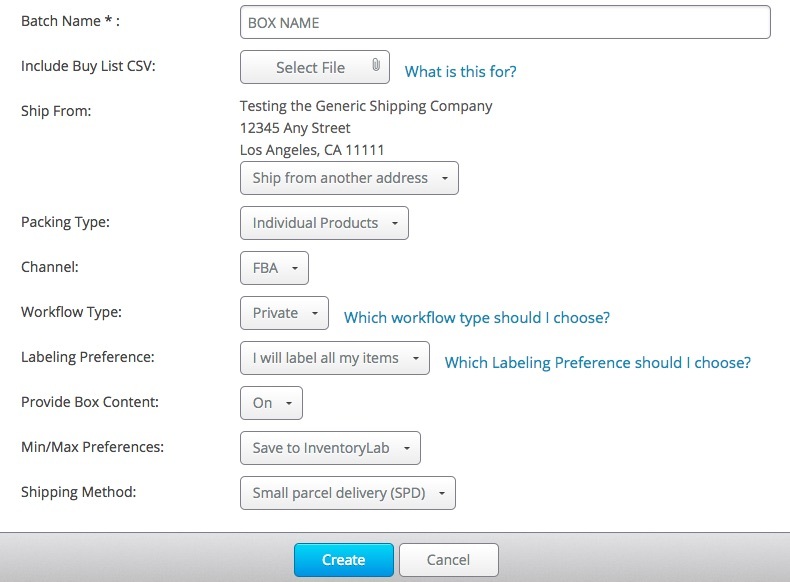 For info on more Private Workflow box content features, click here. 18. 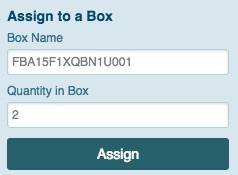 After assigning all items, click 'Transmit Boxes' next to the assigned shipment. 19. Wait for the green success message. If you receive an error message, troubleshoot here. 20. Click the shipment name under Working Shipments to complete the shipment in Seller Central.